As I stood recently at John MacBride's final resting place in Dublin's tiny, quiet Arbor Hill Cemetery, I reflected on this book about this Irish hero who led Irish and Irish-American volunteers against the British in theSouth African War. Tragically, he emerged from the Boer War safely, but wasexecuted for his role in the 1916 Easter Uprising and his body dumped in amass grave with several of his patriotic comrades. His sacrifices certainlyhelped lay the foundation for Ireland's freedom. 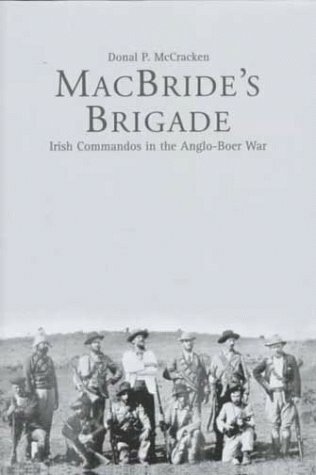 This book focuses mainlyon MacBride's service in the Boer War, the politics and passions of theIrish involvement, and his relationship with the flamboyant Maud Gonne, whobore his two children. MacBride is not a perfect hero, which makes him (andthis book)all the more engaging. This book was probably one of the most relevant, gripping and epic history books I have ever read. The numerous parallels between the Iraq war and the Boer War make it all the more powerful. Most Brit academics are long on tangential, spurious fact and short on prose. This is were Farwell parts with his contemporaries. It can be read by the casual historian (skip some of the long sieges) or the consummate soldier, as Byron fully illustrates the flaws and strength of each protagonist at every major turning point. He does not hold back personal judgment which adds much needed context. He imbues these real characters with life allowing this to become more Epic than history book. As an avid reader of insurgent doctrine this ranks up there with: Learning to Eat Soup with a Knife, A War Like No Other and Guerrilla Warfare (Che not Mao). While it is a hefty read I dare you to put this down after the first couple chapters. You will not be disappointed. 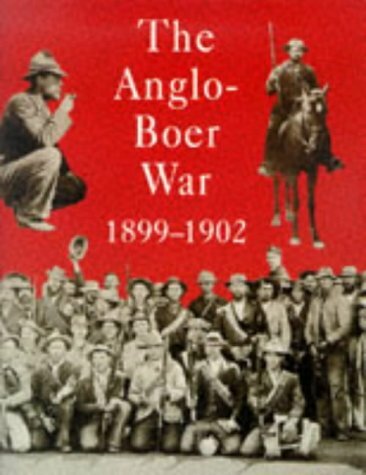 Quite easily the best book on the topic of the second Anglo-Boer war.If there were but one book you read concerning this timely subject, it is this one.The author leads the reader on a fast-paced but thorough and enjoyable tour of the people and places involved.The intermixture of battlefield strategic and tactical decisions are interspersed with human stories of the men who carried out the orders and the political forces that fueled the conflict. A must have for the panoramic big picture with detail enough to satisfy the most avid military historian. It is a work I come back to again and again. Simply put, one of the greatest, most detailed and yet most readable histories, military or otherwise, to ever have been published.If you have even a passing interest in history, this book is for you.The parallels that can be drawn to our present day situation in the middle east are shocking, and this book was written quite a while ago. This is an absorbing, well written account of a neglected (by American readers anyway) war at the turn of the last century. Rather than being a dry academic text, Farwell's writing style serves to bring the war to life 100 years after the fact. Seamlessly mixing descriptions of tactical battlefield and operational decisions with the geo-political/strategic back drop of the war, intertwining the personal narratives of the men who were carrying out orders and executing political/military decisions (which I'd say was very "Ken Burns" if Farwell's book didn't pre-date Burns' work by almost a decade). Coupled with other accounts of the war, like Goodbye Dolly Gray (another excellent book) written by Rayne Kruger, the average reader can understand some of the causal factors of South Africa's apartied system and gain an insight into the history of a long troubled region. This expanded and updated edition draws on new scholarly writing since the centenary of the war. 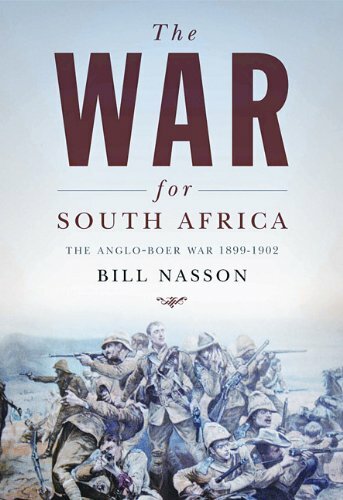 Nasson explores how the Anglo-Boer War shaped South Africa’s future and how it has come to be remembered in a post-apartheid South Africa. From 1899 to 1902 South Africa was convulsed by theconflict between one of the world's greatest powers - Britain - andthe tenacious fighting force of two small Afrikaner republics, the ZAR(Transvaal) and the Orange Free State.Faced with the threat oflosing their independence, the Boers rallied with a single-mindeddetermination which gained them great sympathy in Europe and the US. 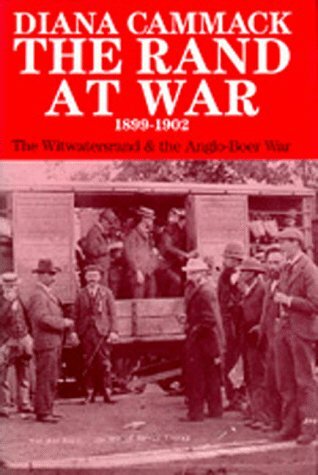 This book outlines the course of the war, through the formal firststages, to the guerilla struggle of the 'bitter enders'.Finally itfocuses on individual aspects of the war that are often overlooked ina more general approach.The pictorial element and the text engage ina particularly vital interplay, to illuminate the social complexitiesof a unique and prophetic war.Here are Boer life on commando, theBritish Tommy's experience of a hostile veld, and the role of blacksin the warfare -- an aspect until recently unprobed. Prisoners of this war were overwhelmingly Boer.Men and boys werescattered abroad to exile on remote islands, while those whocollaborated with the British were scorned as 'hands uppers' andjoiners.Boer women and children comprised the remaining, far moreserious, casualties of the ruthless 'scorched earth' policy -- over27,00 deaths were recorded in their prison camps. An Amazing story, That is all true. 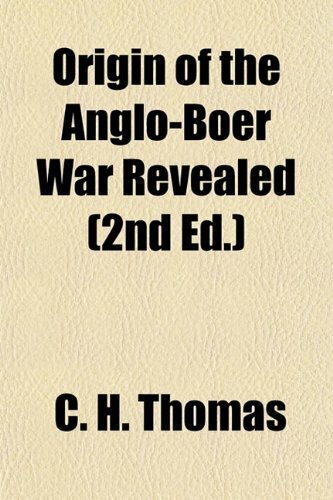 This really sheds some light on what the Boers did and how they staid in the field so long. Shines some light on the leading hisorical figures of the war. 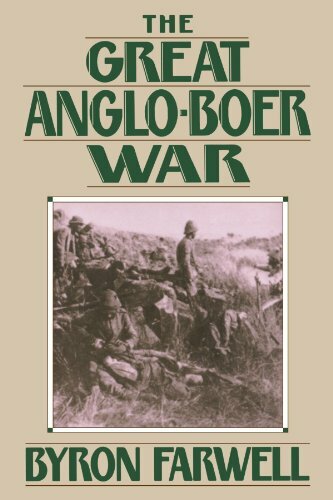 I found that this book gave me more information on the boer war then any other book I have ever read. As a student of military history Reitz's book is well worth the read.However, the current copy was reprinted by [...] or some such place that obviously does not have a proof reader or editor on staff.In many places they made up new words to be inserted in place of the correct word.This occurs nearly every other page. In many cases these obscure words totally change the meaning of the paragraph. I have read the original and it does not contain such errors. 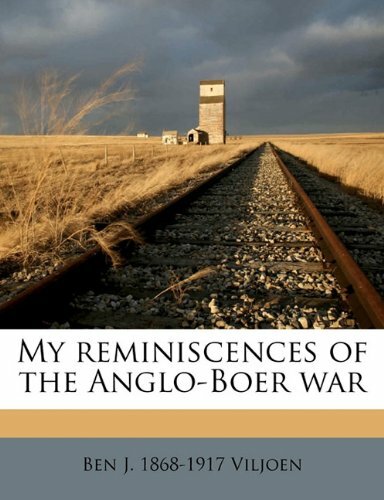 Deneys Reitz's memoire of the Second Boer War is a Classic and has beensince its publication. My only problem is that this 2008 edition by CruGuru contains examples of some of the sloppiest proofreading/printing I have ever seen. Misspelled words are frequent and completely wrong words substituted are even more frequent. "Commando", which contains little strategy but a great deal of human reaction to close combat, can be read and enjoyed by anyone. But buy an edition from a different publisher. 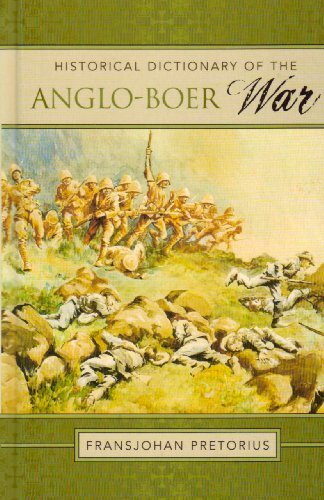 First person narrative of the Boer War written just one year after the end of the war. Gives unusual insight into the life of a Boer commando during this conflict with the mighty British army. 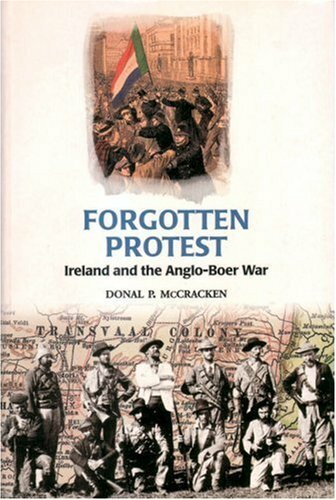 Forgotten Protest is the extraordinary saga of how events in South Africa helped revitalize politics in the heady days of Parnell and especially during the great Anglo-Boer war. During the Boer War, "Pro-Boer fever" swept nationalist Ireland—riots in central Dublin created a no-go area for British troops; posters applauding Generals De Wet and Botha were plastered on walls and lamp-posts and the flag of the Transvaal Republic flew defiantly in many Irish villages. The great intellectuals of the day—Yeats, O'Casey, Moore, Lady Gregory—as well as socialist James Connolly and socialite Maud Gonne espoused the boer cause, as did Arthur Griffith, recently returned from working in the Transvaal gold mines; all, however, were oblivious to the plight of the black population in South Africa. On the battlefield the Dublin Fusiliers found themselves pitted against two hard-fighting Irish commandos. And behind the scenes the Boers poured thousands of pounds into Irish republican coffers, stirring up the most violent of the European pro-Boer movements. Dwarfed by 1916 and the Irish War of Independence, the Irish support for another colonially beleaguered people was to become a forgotten protest, remembered only in folk ballads and in fireside stories. Its thrilling tale is resurrected here to mark the centenary of this extraordinary struggle. Donal P. McCracken is professor of History and dean of Humanities at the University of Durban-Westville in South Africa.